This project has seen the renovation of the two toll buildings situated at the base of the Anderton Boat Lift to protect them from collapse. 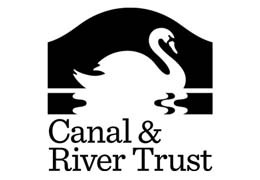 The £90 000 project has been funded by public donations to Canal and River Trust and by the National Lottery through Saltscape. During the course of the restoration it became clear that the buildings should not been known as Toll Houses, but rather River Control Buildings. They were very important buildings at the boat lift. Boat owners would be welcomed by the clerk who would inspect and weigh a boat’s cargo by measuring the water displacement. Boats would then pay a toll at one of the two toll houses situated at the entrance to the lift, before entering the lift and being transported upwards to the canal. Full refurbishment of one of the toll houses allowed for a chance to see the building in action at the 2016 heritage open day with an actor even dressed up in costume for the occasion! The two buildings now form part of the Canal and Rivers Trust’s ‘Top of the World Tour’ – a tour of Anderton boat lift.